If you thoroughly enjoy being frightened, you’ll love this super-scary show, an exercise in pure gothic creepiness that’ll see you hanging onto the edge of your seat and jumping at the slightest sound. The fact that it has been released as a film, starring Harry Potter’s Daniel Radcliffe, is testament to its uncanny appeal. The Fortune Theatre in Covent Garden is famous for being the oldest public building in London to be built entirely from concrete. A bright white wedding cake of a building with a surprisingly minimalist white interior, featuring subtle gold and blue details, the Greek goddess of fortune, Fortuna, guards the entrance and is also present at the safety curtain keeping a stern eye on the proceedings. 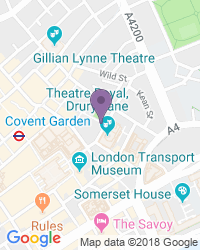 On the site of an ancient pub, the Fortune Theatre was designed by the architect Ernest Schaufelberg and first opened its doors back in 1924 as the Fortune Thriller Theatre, with a show called Sinners, staged by the owner Laurence Cowan. In its early days the new theatre didn’t fare too well, failing to attract long-running shows. By 1927 things had reached crisis point and the theatre was taken over by the talented actor-manager Tom Walls. His arrival changed the theatre’s fortunes (pun intended!) with the first big hit, called On Approval. During the Second World War the Fortune Theatre was used by ENSA, the forces’ entertainment arm, to entertain allied and home-grown members of the services. In the years following the war it became a receiving house, showcasing a variety of touring productions rather than putting on its own performances. Nevertheless, a number of legendary comedians and performers played there over the decades including Alan Bennett, Peter Cook and Dudley Moore. 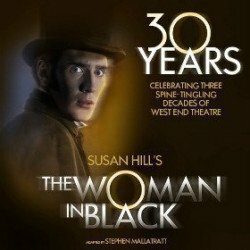 In 1979 the smash hit The Murder in the Vicarage had a run of 1758 performances but author Susan Hill’s The Woman in Black, a dark thriller which first opened back in 1989, is its most famous offering, celebrating 5000 performances at The Fortune by 2001. In late 2001, the Fortune theatre became part of the Ambassador Theatre Group. Ghostly goings on at the Fortune Theatre! By all accounts the long-running and horribly scary thriller, The Woman in Black, has awoken the normally ghost-free theatre. Ever since the show first began, people have spotted a spooky woman dressed in grey hanging around in various parts of the auditorium, most often in the boxes. The Fortune theatre, despite its troubled distant past, has hosted countless celebrated actors including Dame Judi Dench, Dirk Bogarde and Maureen Lipman in her famous one woman show called Re-Joyce. The classic revue from Cambridge, called Beyond The Fringe, played there and included stars Alan Bennett, Peter Cook, Dudley Moore and Jonathan Miller. Mr Cinders, Double Double, Nunsense and Dangerous Obsession have also graced the Fortune’s stage. There are a few stairs to negotiate at the entrance and many more inside, with no wheelchair access. The best seating option for disabled patrons are the rear of the dress circle level, and Box A.
We’re a top destination for a wide variety of seat types and prices, with excellent availability on the full range of Fortune Theatre tickets.